How cute is this card?? I belong to the Stampers for Others team and my upline and fellow team mate Stella MacKay made this card for the Occasions 2017 swap that we did. I think it is a great card for a children’s birthday or any one of your loved ones. It reminds me of fairy tales mixed with a little vintage and that is PERFECT to me! 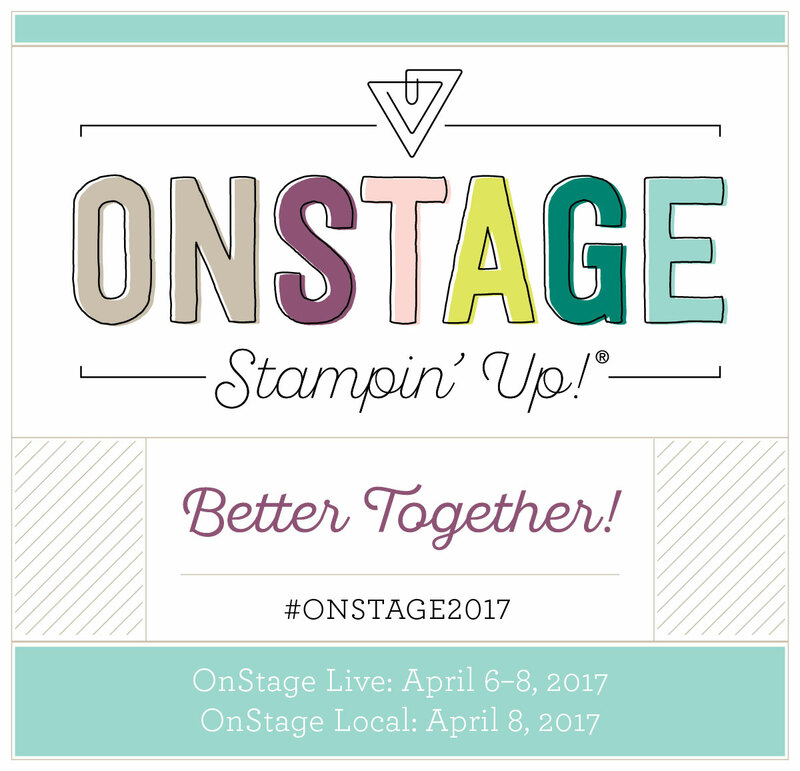 This Saturday is Stampin’ Up! OnStage where demonstrators from all over the globe will gather in Amsterdam for the new catalog reveal and there will also be off-site locations all over the world where others can participate. 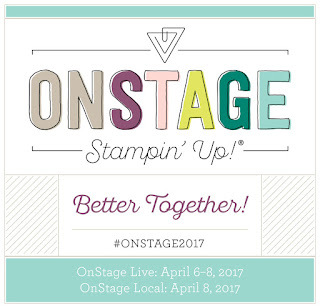 I am attending the OnStage event in San Diego and cannot WAIT to see the new catalog, new product, and all my Stampin’ Up! friends. I will be sure to post (what I can) next week of all the fun we had. One of the perks of being a Stampin' Up! Demonstrator is we get to order product early (before it's released). This week we ordered the brand new Eastern Palace Suite that will be made available to all of you on May 1st. Yay!! It will feature three of the brand new In Colors 2017-2019. Those colors are Lemon Lime Twist, Tranquil Tide and Fresh Fig. More details soon!